New book, 260 pages. On the eve of its invasion of South Korea in June 1950, North Korea employed a trick so clever as to prompt comparisons to the Trojans and their wooden horse. Through a complex scheme involving false defectors to South Korea, North Korea created such a compelling diversion that Western military officials ignored obvious signs of the impending attack. Here, the vastly prolific Breuer (last year's Feuding Allies, etc.) shows that the "Trojan horse" episode was but one of scores of covert missions conducted by the U.S., China and both Koreas around the time of the conflict. Interweaving fresh material and much that is already known of the "forgotten war," he packs his absorbing text with colorful yarns about such missions as a U.S. Army official's attempt to infiltrate North Korea and kidnap a corpse so that he might test it for signs of the plague. 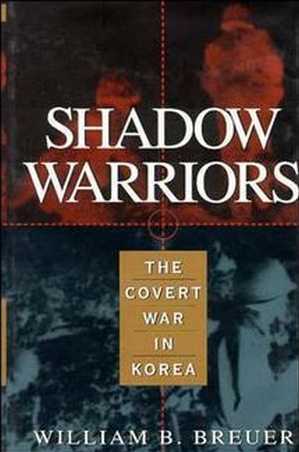 But Breuer includes nuggets of key information as well, including details of the secretive Joint Services Operation, which ran American clandestine ops in Korea making this as suitable for serious students of history as for fans of cloak-and-dagger mayhem, military-style. This item was added to our catalog on Saturday 01 August, 2009.